Welcome to Flashback Friday: Take Me Out to 34 Ballparks , a celebration, critique and countdown of every major league ballpark one baseball fan has been fortunate enough to visit in a lifetime of going to ballgames. I think it would be pleasant to go to a public park, find something to eat, watch some guys play ball and maybe wander around a bit. It was pleasant, actually. Stephanie and I did that at Jack Murphy Stadium. Pleasant beats unpleasant every time. But pleasant’s not the same thing as big league, and there was something about seeing a Padres game in their original home that felt less than major. It wasn’t bad — pleasant can’t be bad — but it didn’t fill me with anything approaching awe. Did I mention the pleasant factor was off the charts? Jack Murphy Stadium was that black, square-shaped hole to me. A mystery, and not one on which I’d expended much concentration as soon as the Mets would leave town. When I formed a squishy goal of someday seeing every major league ballpark, I wondered what on earth I’d be doing in San Diego to get Jack Murphy taken care of. It would have to be part of something bigger. And it was. The previous December, as an all-encompassing birthday/holiday present to Stephanie and me, my sister and brother-in-law thoughtfully favored us with some of their frequent-flier miles and use of their Los Angeles-area apartment (a.k.a. their de facto West Coast office). They even threw in a few gift certificates to some local restaurants. Truly they are sweethearts that way. Natch, as non-fans, they’d been camping out in Southern California a few times a year for several years by then, and it’s fair to say they never particularly noticed there were three baseball teams operating in the general vicinity. For us, that was the attraction. It never even occurred to them that was the only reason we graciously accepted their generous gesture. I mean, really, is there something else to do in Southern California? I studied schedules, found a week when the Angels, the Padres and Dodgers would all be home and put in for vacation time. We flew out in the middle of June for the only reason I can think of spending more than a couple of days anywhere: to visit three ballparks. San Diego was the middle of the itinerary, a Thursday afternoon against the Cubs. We started out from L.A. in the morning, in unusually fine driving fettle. It looked a little dreary on the way down. Rain in San Diego? Unpossible, as Ralph Wiggum  would affirm. That was the notorious Marine Layer we were facing. 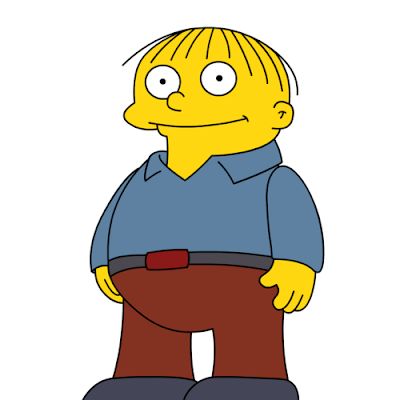 Ralph Kiner — who is no Ralph Wiggum — informed us that was a staple of San Diego existence, and that it burns off by noon. Ralph Kiner, former GM of the old Pacific Coast League Padres, was absolutely right. It was sunny and warm in Mission Valley. The stadium was kind of tucked away, but we found it with little ordeal. Security said I couldn’t keep my bottle of water, an accessory I’d begun to carry as a matter of course. I grumbled but dutifully tossed it. Concessions said they couldn’t rustle up a program. I grumbled some more, as I always bought a program in a new ballpark. There were a couple of glitches, but we were in the place with the square hole. Per usual, I was wearing my Mets cap, which drew the attention of an usher who said something mildly disparaging but harmless, like “Mets? Why?” I explained we were New Yorkers on a baseball tour, that we had been in Anaheim the day before. “It would be nice if the Cowboy could win one of these years,” the usher volunteered. Nice of him to worry about Gene Autry, I thought. Nothing, he said, was going well for the Padres. Indeed, San Diego had gotten off to a fast start in 1996, but losing had set in: the Pads had lost 15 of its last 17 as a 6½-game lead in the West had become fourth place, two games out. Same old Padres. But it was all new to us. I feigned concern to the usher and we went about our usual stance of rooting for the home team as long as it had no adverse impact on the Mets. There was some color to the Padres now, and it wasn’t the drab brown that had been their trademark in the McReynolds days. They had a guy walking around dressed as a Friar, and we cheered his appearance. A couple more guys wore skinhead wigs to approximate Wally Joyner’s pate. Wally World had taken his act down the coast in ’96 and was batting .321 before his recent injury (which coincided with the 2-15 skid). We cheered for them, too. We got behind Tony Gwynn (.326 at the start of play) and Rickey Henderson (16 steals in his first year as a National Leaguer) and Chris Gomez (someone I kind of adopted a few years earlier in Toronto, but I’ll save that for the SkyDome entry). We were temp Padre fans. It was all good fun. After a while, though, it just fell…flat. You know, like watching Kevin McReynolds for too long. Palm Trees had recently been potted over the outfield fence, which was the one architectural distinction to the venue. After a while, you stared at the palm trees and they seemed out of place at a baseball game. That’s when it began to feel like a public park. That’s when we decided to get up and seek out a snack bar. I’d prepared for this trip as I usually did, with a ballpark guide of some sort. The one I had in 1996 said you’ve gotta try the fish tacos at Jack Murphy Stadium, they’re a local specialty. I try to do the When In Rome things, so off we went in search of fish tacos. To reel in fish tacos, you went to a special stand, Rubio’s. You could buy ’em and bring ’em back to your seats, but there was a patio full of tables and chairs at which you could enjoy ’em. I’d read about that in the guide book as well. It was rather unorthodox to be at a baseball game and sit somewhere that wasn’t facing the field — the tables and chairs offered a view of the parking lot, with monitors for game action — but we tried it. I didn’t care for not watching the game. And I didn’t really like fish tacos. Back at our seats, I noticed two more things I’d never before seen at a ballgame. One was a pitch count on the scoreboard. Very big letters and numbers telling us just how many balls and strikes Tim Worrell, Jaime Navarro and the relievers who succeeded them had thrown. At first I was mesmerized. Then I was distracted. I could live without knowing pitch counts. The other thing was the out-of-town scoreboard which, during the latter stages of the game, began posting notes about the Mets’ game in Cincinnati. The hell with the Padres and Cubs. What were the Mets doing? It wasn’t the first time I eyed an out-of-town scoreboard to keep up with the Mets, but it was the first time I had done so at three time zones’ remove. I was so incredibly confused. The Mets are playing a night game, but it’s bright and sunny and the middle of the afternoon here in San Diego. It’s 4 o’clock? How can that be, when my internal alarm is set to Met Standard? And why won’t they tell me anything beyond the fact that Bobby Jones is facing Dave Burba? My attention wandered to the banks of the Ohio River, but we still rooted for the Padres, but with less and less conviction. Joynerless and punchless, the locals didn’t score until the eighth, pulling to 3-2 on an eighth-inning two-run blast by pinch-hitter Marc Newfield. The Friar and the Joyners and we applauded heartily. Gwynn led off the bottom of the ninth with a single, stirring things further, but the Cubs brought in that crazy Turk Wendell and he retired the final three Padres. Chicago held on 3-2. San Diego had lost 16 of 18. We filed out, counterintuitively bought a program by the exit, got in our rental car, checked into the nearby Holiday Inn, grabbed some Chinese Food at the strip mall next door and sprung for The Birdcage on hotel pay-per-view. Next day, we visited the world-famous San Diego Zoo and, in the immortal words of Lobo , motored stately into big L.A. It was all very pleasant. It was Jack Murphy Stadium.